Could we get a new side scrolling Metroid? …Please? 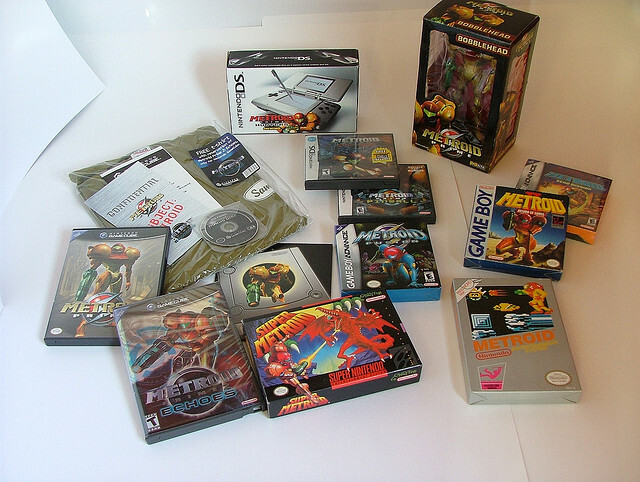 – Game/Life Balance U.S.
My first experience with the Metroid games was with the GBA game Metroid Fusion. I know, I know; very late to the party. Don’t hate on me. My dad got it for me because he thought it looked cool (which it did). He was surprised that Samus was a girl; I’m not sure if I knew at that point myself. As I mentioned, I was not very familiar with Metroid at the time, though I did play around with Super Smash Brothers at some point around that time in my life. After Fusion, I played Zero Mission, which is a GBA remake of the original Metroid for the NES. And after Zero Mission, I played Prime, the first 3D FPS style Metroid game, which debuted on the Gamecube. I loved playing all three of those games. Since those games, we’ve seen Metroid Prime 2 and 3 as well as Metroid Other M. With personal experience playing Prime 2 and 3, I can say I didn’t find the games very riveting; there was too much of a focus on the whole “light and dark” powers and I much preferred the first Prime’s focus on “elemental/neutral” powers. I didn’t even touch Other M. For those of you unaware of the existence of Metroid Other M, I envy you. It is a third person 3D Metroid game. Not a side scroller. Not a FPS style. It looks like it was an attempt to add combos into the series, but apparently it didn’t handle well. Samus also spoke, like a lot, and that’s kind of a no no, especially since she is kind of annoying. What I want is a new side scrolling Metroid title, one similar to Fusion and Zero Mission. Games these days are not mandated to be 3D adventures just because technology has advanced; exploring these 2D worlds is extremely fun. Gathering new weaponry and skills in these Metroid games is a blast, and the added challenge of completing the games at only 15% completion is quite fun to attempt (I have not at this point succeeded in doing so, sadface). While I did enjoy playing Metroid Prime (like, a lot), it didn’t have the same feel as Fusion and Zero Mission. The simplicity of the controls meshed well with the natural challenge of a 2D side scrolling platformer. I have clocked probably over a hundred hours into those games, and it would be much higher if the emulator controls on my phone were more conducive to the play style of these games. You know what would be a great starting point for Nintendo? Remaking either Metroid 2 or Super Metroid on the 3DS. They could definitely make a stellar looking game and utilize the touch controls for additional weapons or even simply just the minimap. Or they could be ballsy and just make a brand spanking new story, maybe one that takes place after Fusion focusing on the X parasite. Actually a Metroid Fusion 2 would be amazing. Yea, Nintendo should do that.